Does cweb325 belong in this group? Does southernborn belong in this group? 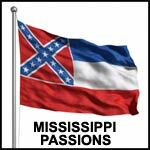 Mississippi has always been home for me were i grew up is a small town and i live off in the woods down an ol back road. Love the simple country life well if you have any other questions for me just ask. Does marlar1337 belong in this group? I'm a big man! I like doing anything and everything, you call it and I'll try it I have a very open mind about things, I've been married and divorced two and from the same woman 4 times! I have two kids my son is 20 and my daughter is 18 about to be married to her childhood love! You want to know anything else just ask! Does coopshoemake belong in this group?